That's great you've got 4 whole days off! You do seem to put in a lot of hours with your 2 jobs. The break will do you good! They look like interesting books. I hope you let us know what you think of them. Are you going to do anything special for your birthday? 4 days? How exciting! And that stack of books looks good. I've been trying to read more books to remind me how I want to live. If you can, please post about the books when you've finished! I am very curious about 'Stuff Parisians Like' and have been eyeing it on my Kindle for a while. lol. I'm so excited about my time off, you guys! I ordered my birthday cake last night and in the middle of making celebration plans. 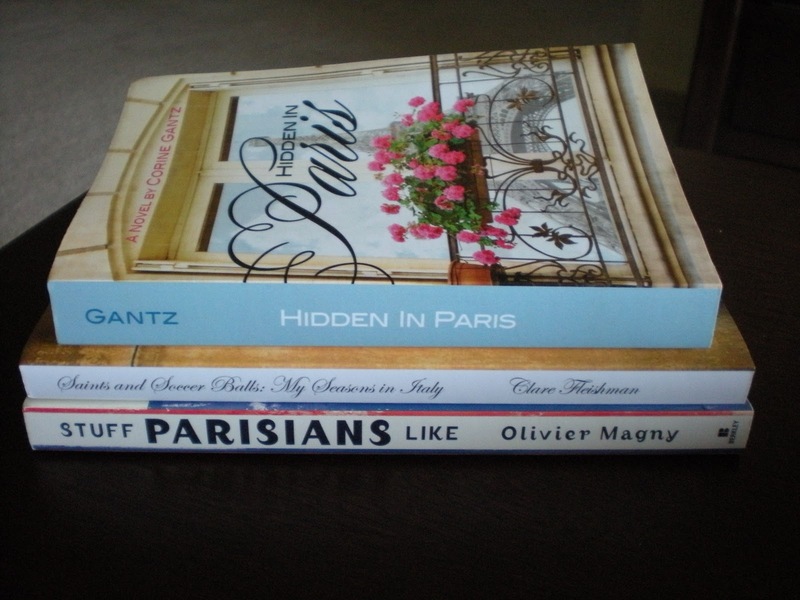 I will review these reads in an update. 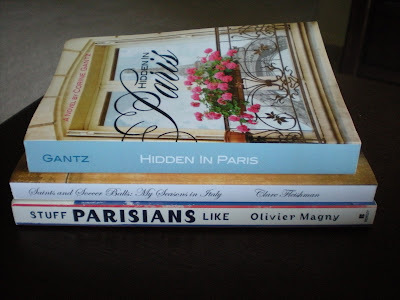 I'm still reading Hidden in Paris. Hopefully, I'll purchase one left on my list and get to borrow the Bread & Wine book during my vacation. I should get a Kindle to take while traveling!